Watermelon Hearts are so cut to add to a fruit tray! Here is a great way to add some pizzazz to your fruit tray! Get creative with your next fruit tray and add some watermelon hearts to the fruit arrangement. When you serve a beautiful fruit tray – like my Pineapple Palm Tree Fruit Tray – it really steals the show. Fruit trays are great for weddings, brunches or any festive gathering! When you are cutting out the watermelon hearts, be sure to cut the remaining watermelon into chunks to add to the back of the fruit platter. And here’s one tip. Be sure to keep a wet washcloth and dry towel handy. Cutting fresh fruit is a sticky job. These watermelon hearts make it fun to eat fruit! So, lets get started! 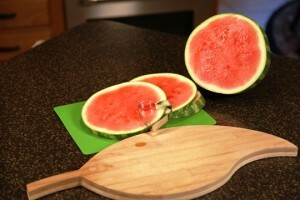 Begin by slicing the watermelon into 3/4 inch slices. 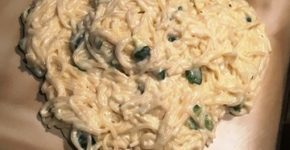 I prefer to use the seedless watermelons so you don’t have to remove a lot of seeds as you make the hearts. 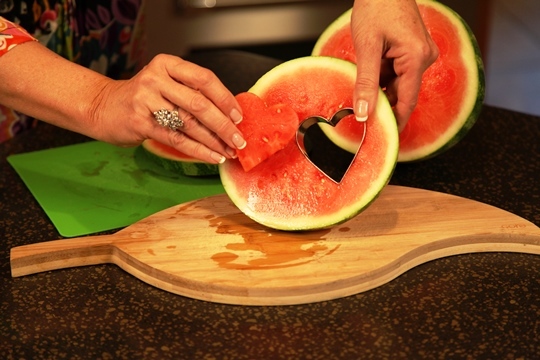 Use a heart shaped cookie cutter to cut the watermelon flesh. You can use any shape you like. Cookie cutters are available in flower shapes… butterflies…..just let your creativity run wild! Press the cookie cutter into the watermelon slice and cut out the shapes. 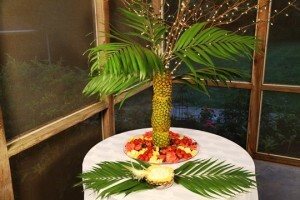 Look at how spectacular the Watermelon Hearts look on the Pineapple Palm Tree Fruit Tray! One additional note..Try adding fresh flowers and foliage to your fruit tray too! 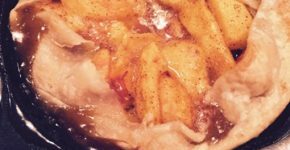 Just tuck them in and around the fruit for a breathtaking display! Get creative with your next fruit tray and add some Watermelon Hearts to the fruit arrangement!